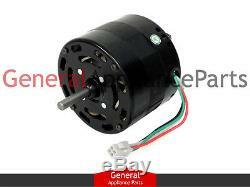 Maytag JennAir Kenmore Range Stove Oven Blower Motor W10201322 71002108 71002211. If you blower motor suddenly becomes noiser, or ceases to turn any longer, the problem most likely lies with the motor itself. Whirlpool Estate KitchenAid Roper Maytag Admiral Amana Speed Queen Jenn-Air Magic Chef Crosley Caloric Glenwood Hardwick Menumaster Modern Maid Montgomery Wards Norge JC Penney Wards Sears Kenmore. When the blower does not seem to be operating correctly, you may need to clean or replace it. The blower and blower motor are a one-piece assembly. Removing a blower motor is simple, the motor is not hard-wired into the range, but uses a simple plug. SVD48600P SVD48600W SVE47600W JDS9860AAP SVE47600B SVD48600B SVE47100B JDS9860AAB JES9800AAS JES9750AAB JES9800AAB JDS9860AAW SVE47500B SVE47100W JES9860AAB JDS9865BDP SVE47500W JES9800AAW JES9860AAS JES9900BAB JGS9900BDB JGS9900BDS JES9860AAW JDS9860BDS JES9800BAB JES9900BAS SVE87600B JES9800AAQ JES9860BAB JES9750AAW JES9900BAF SVE87600W JES9750BAB JES9800BAS JES9860BAS JDS9860BDB JDS9860BDW JES9750AAS JES9750BAS JES9750BAW SVD48600WC SVE47600BC JDS9860BCP JDS9861AAP 62946979 JDS9860ACW JES9800ACB JES9800BAF JGS9900BDF SVD48600BC SVD48600PC SVD48600PF SVD48600PT SVE47100BC SVE47100WC 6294697 62946975 JDS9860ACB JDS9860ACP JDS9860BDB21 JDS9860BDS22 JDS9860BDW21 JDS9860CDB00 JDS9860CDB01 JDS9860CDS00 JDS9860CDS01 JDS9860CDS02 JDS9860CDW00 JDS9860CDW01 JDS9865BDP22 JDS9865BDP23 JES9750BAB17 JES9750BAS18 JES9750BAW17 JES9750CAB00 JES9750CAS00 JES9750CAS01 JES9750CAS02 JES9750CAW00 JES9800ACS JES9800ACW JES9800BAS18 JES9800CAB00 JES9800CAB17 JES9800CAF00 JES9800CAF17 JES9800CAR00 JES9800CAS00 JES9800CAS01 JES9860ACB JES9860ACS JES9860ACW JES9860BAB18 JES9860BAS19 JES9860BAW JES9860BAW18 JES9860BCB JES9860BCS JES9860BCW JES9860CAB00 JES9860CAS00 JES9860CAS01 JES9860CAW00 JES9860CCB00 JES9860CCS00 JES9860CCS01 JES9860CCW00 JES9900BAB19 JES9900BAF18 JES9900BAF19 JES9900BAS20 JES9900BCB JES9900BCB20 JES9900BCS JES9900BCS21 JES9900BCW JES9900BCW20 JES9900CCB00 JES9900CCS00 JES9900CCS01 JES9900CCW00 JGS9900BDB15 JGS9900BDF15 JGS9900BDS15 JGS9900CDB00 JGS9900CDF00 JGS9900CDR00 JGS9900CDS00 JGS9900CDS01 JGS9900CDS02 SVD48600PG SVD48600PK SVD48600PR SVD48600PU SVE47600WC. Our mission is to become the #1 source for all your appliance part needs. We will attempt to process your address change, cancellation and order change as quickly as possible. However, we cannot guarantee that we will be able to provide this service. Please review your order for accuracy before submitting it. The time frame depends on your location and is determined by the Post Office. Tracking information is accessible once the item is delivered to the post office or picked up by UPS. These charges are not refundable for all correctly filled orders. Please review the entire listing carefully and make certain you are ordering the part you need. Please note that appliance manufacturers frequently update their parts without warning. While we strive to update our listing pictures as quickly as possible, an outdated picture is not grounds for return. This is to insure that we can file a claim with the carrier when applicable. All items must be in a brand new (without signs of installation) and resaleable condition. All parts are inspected for signs of installation upon our receipt of them. In no way shall General Appliance Parts be liable for any loss, damage, fire, explosion, injury, including any incidental or consequential damages, or death as a result of ordering and/or installing any parts from our website or from the results of any action taken due to reading information found on our website. The information is provided as a courtesy to our customers to enhance their understanding of their appliances, it is not to be taken for instructional purposes on how to repair their system. General Appliance Parts suggests having all parts, accessories and equipment installed by a qualified heating and air conditioning technician. If a customer attempts to install a part, accessory or equipment, he or she should have a thorough understanding of electricity, reading wiring diagrams and the work to be performed. In no way shall General Appliance Parts be liable for any loss, damage, injury, including any incidental or consequential damages, or death as a result of ordering and/or installing any parts from our website or from the results of any action due to reading information found on our website. The item "Maytag JennAir Kenmore Range Stove Oven Blower Motor W10201322 71002108 71002211" is in sale since Thursday, October 18, 2012. This item is in the category "Home & Garden\Major Appliances\Ranges & Cooking Appliances\Parts & Accessories".